From this point you could burn the bootloader onto the ATmega8 chip by going to the “Burn Bootloader” menu and selecting “w/ AVRISP mkII”. I changed bootloader.file path and aded build.board and build.variant entries. It compiles successfully and I flashed resulting hex via USBASP directly to Atmega8 and it works fine and without external oscillator. Hi, this is a pretty old article and the exact settings probably don’t work any more. Instead, I would use the “Lilypad Arduino” board setting that comes with the Arduino IDE. 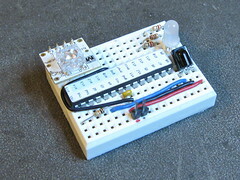 The Lilypad Arduino is basically an ATmega328 minimal Arduino. The programming of the bootloader is basically the same: Select “Lilypad Arduino” from the Board menu, select your programmer type (I use “AVRISP mkII”), and then select “Burn Bootloader”. 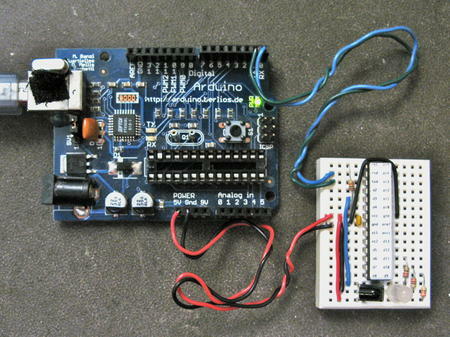 To upload your sketch, keep the Board selected to be “Lilypad Arduino” and do “Upload” as normal. I was able to install the boot loader without an error message. But when I tried to upload some code, I got “programmer not responding”. With the same circuit uploading code to a stand-alone atmega328 with a different boot loader was not a problem, so my circuit should be fine. Any suggestions? Do you have a compiled version with 1Mhz internal clock ? After all I think I do find what was wrong. This is because of the bootloader size, if you look at the hex file, it begans @ 0x1C00 (in byte) so 0xE00 (in word). If you look in the datasheet for this it’s BOOTSZ0=1, and BOOTSZ1=0 that leads to the correct hfuses value (this is confirmed if you have a look in the makefile). I’m going to deep test this but it seems that all my problems above are solved. Again thanks for this page. I had success with the comments of Pope and Darko. First of all, I’am using ATMEGA8-16PU. 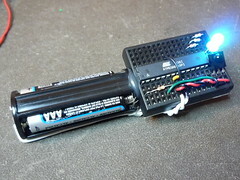 When I use a freshly flashed atmega with the bootloader, I can upload only one time easily from arduino rad. After the sketch is uploaded on the atmega8 and when I reset to upload an other one, it’s hard to get the bootloader responding. – After a fresh flash of the boolloader, there is nothing on the atmega and it seems that the bootloader is cycling forever, waiting for an upload (because you can see the led on PB5 strobe every 3 or 4 seconds)..
– Just after a reset the led on the PB5 is not flashing, but is staying OFF for 4 seconds, I think it’s the first cycle of the bootloader and during this cycle the bootloader is not responding, all the subsequent cycle works (led strobing and bootloader answering). => So if there is no program on the atmega the bootloader is cycling and from the second cycle it responds and it’s all OK.
=> If there’s a program on the atmega the bootloader isn’t cycling forever (only one or two times I think) and if you don’t have a led on the PB5 it’s hard to know when to click on upload because during the first cycle bootloader doesn’t respond. So it’s quite tricky : first reset, then wait (approx 4 seconds) for the led on PB5 to strobe, then click upload. I hope this will help other-ones stuck in the same problem ! Now upload works fine with ATMega8L. 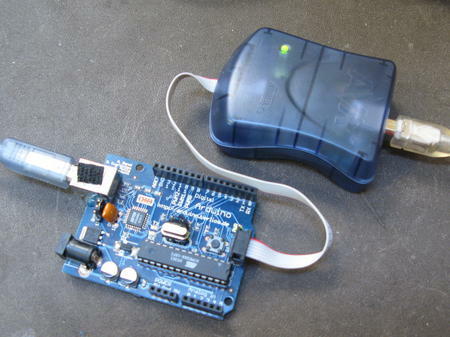 With protocol=stk500 I had to use manual upload copying the arduino upload command to cmd window and adding ‘-F’ option. But I do find auto reset to be a little late – if reset is connected to the ’empty’ Uno board. Because of this issues with auto reset I am rather using your boards.txt settings and Arduino Uno as ISP to upload the programs to the ATMega 8L without using the bootloader. to your modification of “boards.txt”. And I have clue with this problem. No-xtal arduino has the bootloader and it is same with original atmega8 arduino boot loader(except baud rate of serial port). It means the bootloader has no problem. The problem is avrdude. avrdude support AVR ISP protocol. The protocol has 2 ways to get signature bytes. 1st is via ‘u’ command in the protocol. It is only for getting signature. And 2nd way is using ‘V’ command. It is for general use of ISP. I can’t know why avrdude use ‘V’ command for signature. But, as it use the ‘V’ command, the bootloader can’t give correct response. Hello, I am trying to load the bootloader on an atmega8-16pu, but I keep getting a “wrong signature” message. 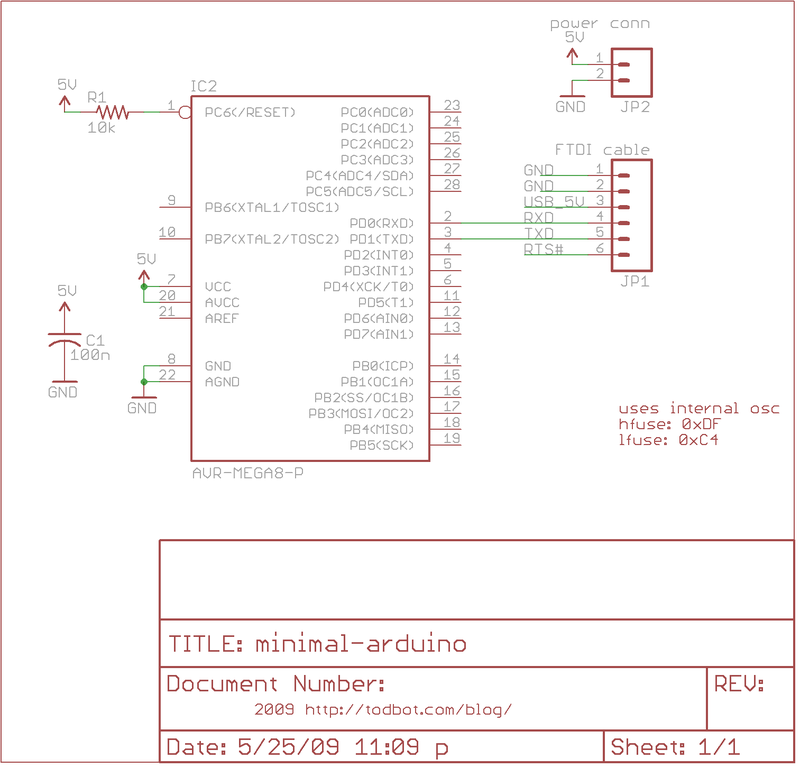 I am using an arduino uno as ISP with pins 10,11,12,13 respectively rest,mosi, miso, sck. I have a 22uF capacitor on the arduino board hooked between gnd and reset pins. like it’s not communicating with the target). 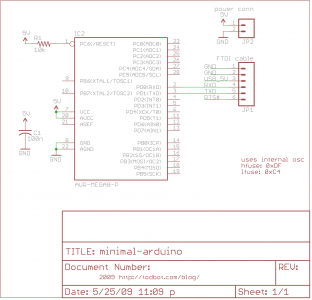 Does the provided atmega8_noxtal loader work with the atmega8-16pu? I keep getting a “invalid signature”, tried with protocol = arduino and with protocol = stk500. with high fuse = c4 (if I chzange it to c2 I get another message, like it’s not communicating with the target). I just ordered a atmega168A-PU chip from protostack. Can I use the same setup as you have shown for this chip. I want to stick to the factory default clock settings. Should I be able to do this.